After their experiences on the Somme and at the Messines Ridge, the NZRB were a valuable source of combat experience. Consequently, the 5th Battalion was transferred to Brocton Camp in September 1917 to train fresh drafts. 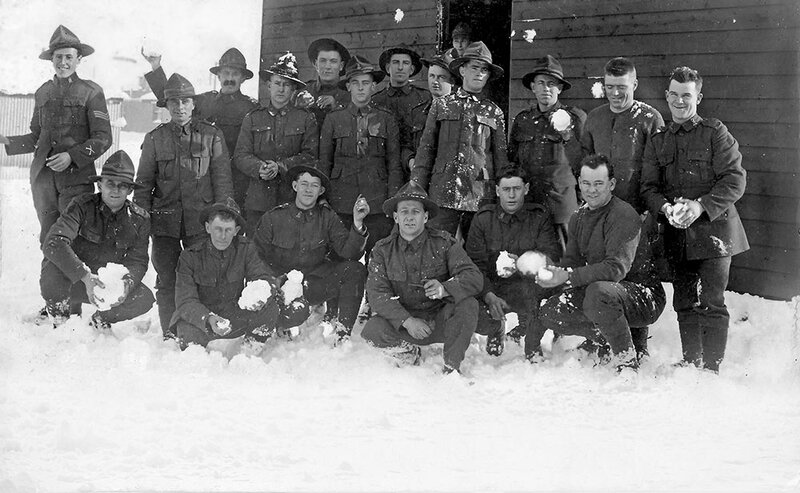 This was to be their home and headquarters until their return to New Zealand in May 1919. The first major offensive the NZRB took part in was the Battle of the Somme fought between July and November 1916. The capture of Messines in June 1917 was the responsibility of the New Zealand Division which included the NZRB. In this action Lance Corporal Frickleton won the Victoria Cross for the destruction of two machine posts whilst wounded. Good relations between the New Zealanders at Brocton Camp and the surrounding civilian population were maintained through visits, concert parties, musical concerts and tea dances. 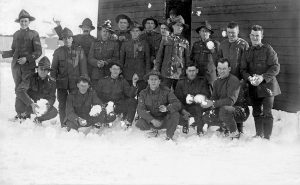 Many brigade members enjoyed the hospitality of the towns and villages in the area. Some New Zealanders made a lasting impression by marrying local girls. The high opinion in which Stafford held the NZRB resulted in the Brigade presenting a silk New Zealand flag to the town ahead of its departure in 1919. While the camps were gradually dismantled the Messines Ridge terrain model built by the New Zealanders remained. Born in Newcastle-upon-Tyne, Claude emigrated to New Zealand around 1911 to start a new life as a farmer. 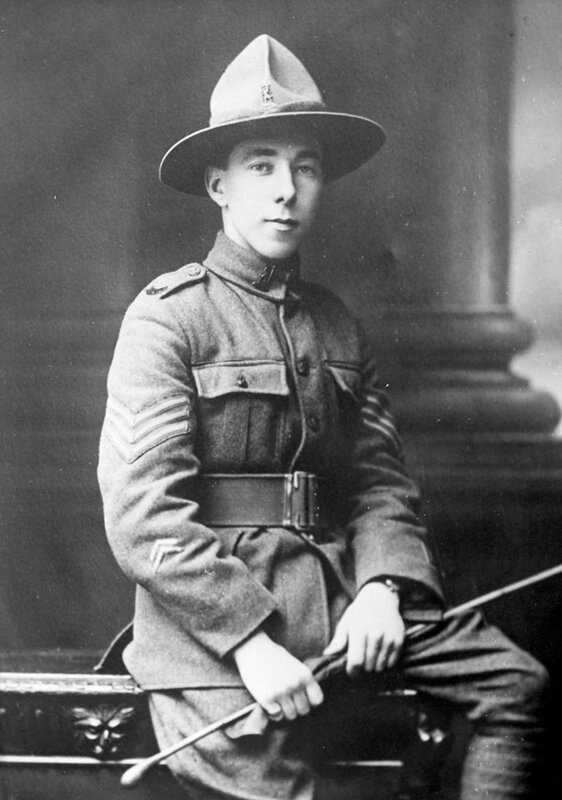 In 1916 he joined 4 Platoon 3rd NZRB and left for the Western Front. He was injured in the Battle of the Somme and was then stationed at Brocton Camp 1918-1919. Here, unlike many of his comrades-in-arms, he survived the Spanish flu outbreak and returned home to New Zealand. Much later in life Claude returned to England to visit Cannock Chase and met Jake Whitehouse in 1953. They became firm friends and Claude gave Jake his NZRB uniform badges and buttons. Claude Jellie died in Auckland in 1995 at the remarkable age of 101.